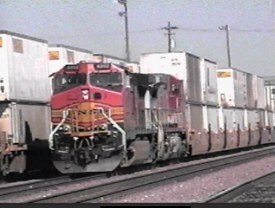 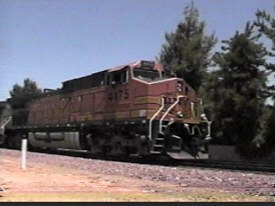 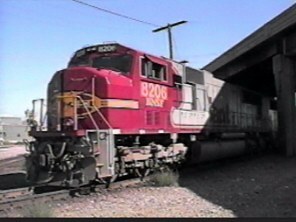 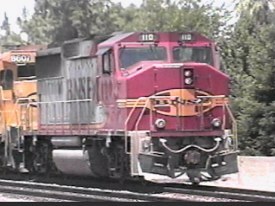 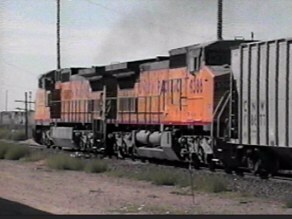 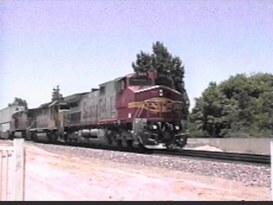 Here are some photos of trains in and around the Fresno Metropolitan area. 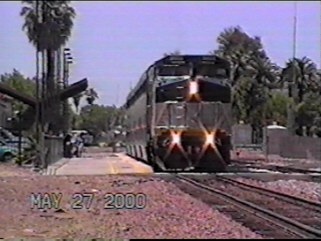 on its way to Clovis, New Mexico. 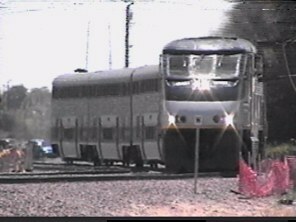 FIGARDEN SIDING- Action at a busy BNSF siding in Northwest Fresno. 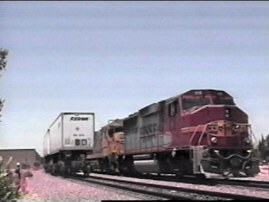 train takes the siding at Figarden. 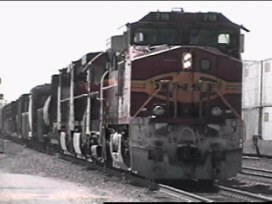 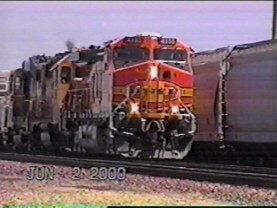 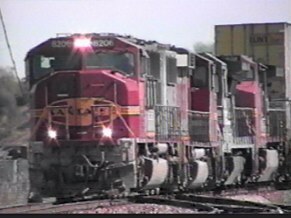 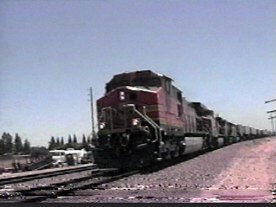 with a chicago bound stack train. 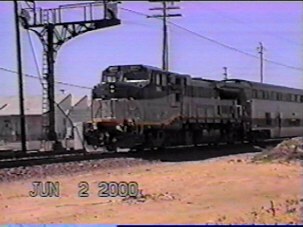 about to connect to an outbound train. 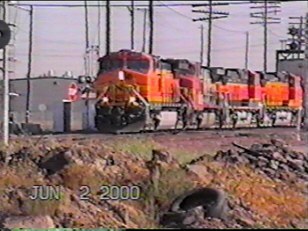 Same locomotives back into the yard, heading west. 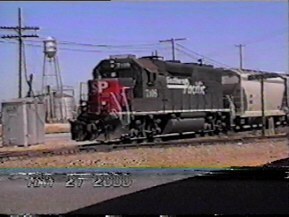 to switch the near by industrial zone. 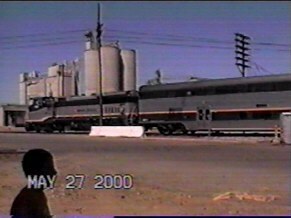 a young railfan looks on. 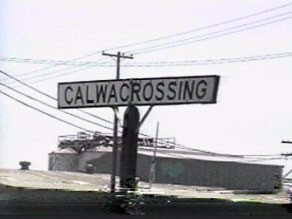 off a detector south of Calwa Crossing. 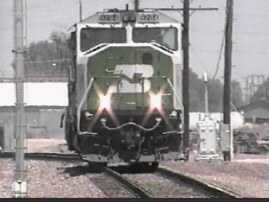 on it's way to Richmond. 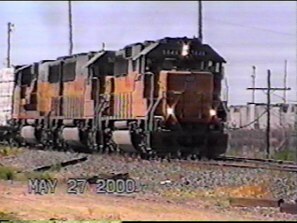 blvd overpass at 10 MPH. 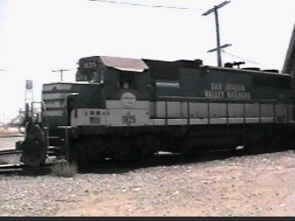 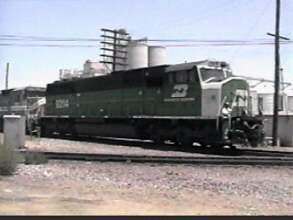 the Amtrak station and Calwa yard crosses an SJVR branch. 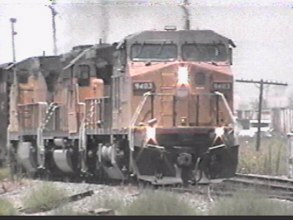 4 C44-9W's pull stack train through sunmaid. 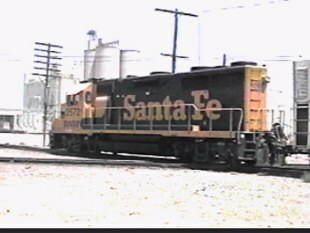 and Union Pacific Fresno Yard.